In September 2018, Volkswagen (VW) announced that it was once again killing the iconic Beetle. While the company still plans to offer a couple of special editions of the car, the production line will officially shut down in July 2019. A drop in sales may be to blame for the Beetle's departure, but that won't stop the classic car from taking a victory lap as production winds down. The so-called "People's Car" found itself celebrated at one of the most prestigious collector car events in the world, the Amelia Island Concours d’Elegance. The charitable event has been called a "beauty pageant for rare and elegant cars" and is held each year at The Ritz-Carlton on Amelia Island, Florida. It has been 70 years since the first Beetle was sold in America, so the event showcased 12 custom-bodied Volkswagen vehicles — not all of them Beetles (and Kathleen Brooks’ “Annie” wasn’t one of them). Among the classics on display was the unique 1969 Beetle Wedding Car. 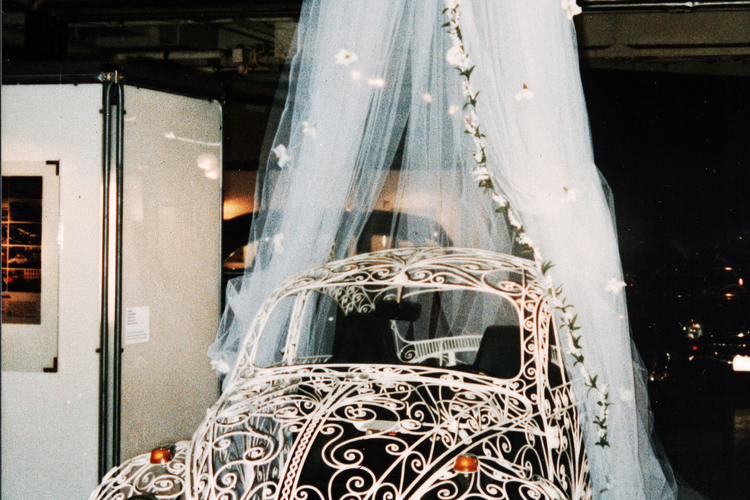 Provided by the Volkswagen Collection in Virginia, the 1969 Beetle Wedding Car was built in Mexico for use at wedding ceremonies. The idea was that it would be easier to see the bride and the groom even when they were driving down the road. You know, as long as it wasn't raining. The wrought iron, while ornamental, provides no protection from the elements, and the vehicle doesn't even include a windshield. The car must have been designed for outdoor weddings, because if this was your ride to or from the ceremony, you were really at the mercy of the elements. Even though it is 50 years old, the car is still in working condition, and it tooled around the grounds during the event. According to VW, the event was the first time that many custom coachwork Volkswagen vehicles could be seen in the same place, and it marked the first time that some could ever be seen in public in the United States.